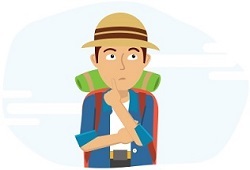 Looking for Bus tickets from KLIA OR KLIA2 to Subang Airport? Bus from KLIA/KLIA2 to Subang Airport is an important service to connect passengers from one airport to another. This bus service offers great convenience for passengers to transfer from KLIA or KLIA2 to Subang Airport. Trans MVS Express is the only operator providing bus from KLIA or KLIA2 to Subang Airport. Trans MVS Express provide up to 13 daily trips from KLIA to Subang Airport and up to 9 daily trips from KLIA2 to Subang Airport. After landing and custom clearance, passengers could proceed to KLIA coach bay and KLIA2 coach bay for checking in and boarding. The first bus service from KLIA to Subang Airport starts at 6:15am while the first bus service from KLIA2 to Subang Airport starts at 5:45am. This is especially convenient for those who is catching domestic flight in Subang Airport after landing from international flight. The travel duration for bus from KLIA or KLIA2 to Subang Airport is about 1.3 hour to 1.5 hour depending on Kuala Lumpur's traffic and climate conditions. The delay could be worsened especially during the day time when Kuala Lumpur always has heavy traffic. Therefore, passengers are advised to arrange more time allowance for bus transfer service from KLIA or KLIA2 to Subang Airport in order to catch the domestic flight. The bus fare from KLIA or KLIA2 to Subang Airport is as low as RM 11.00. The bus terminates at Subang Skypark Terminal. With these frequent schedules for bus from KLIA or KLIA2 to Subang Airport, passengers would experience limited waiting time in airport coach bay after landing. All bus from Trans MVS Express are well maintained and driven by experienced drivers to ensure passengers to have a safe and comfortable bus ride. 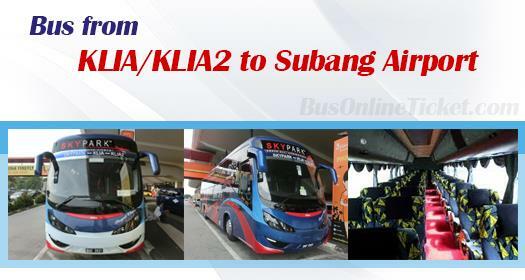 Book your bus ticket from KLIA or KLIA2 to Subang Airport now with BusOnlineTicket.com.